This book and I have a complicated relationship. On one hand, I loved it to little glittery pieces. On the other hand, a certain event *hem* destroyed me. But I suppose it's a testament to Dennard's skill that I love her world enough to be destroyed. 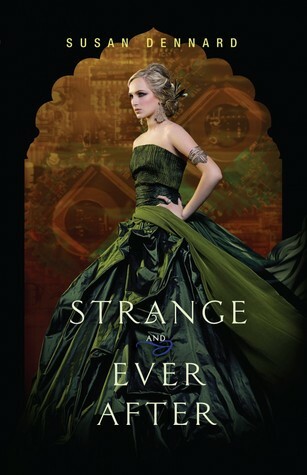 Strange and Ever After is a breakneck finale, taking place immediately after the shocking events of the previous book. The Spirit Hunters and Eleanor are drawn back together by the fervor of their mission, their revenge and their fear for what might come if they don't succeed. Tensions over Eleanor's magic ease into an uneasy acceptance; with Marcus bearing down on them, they need all the power they can get, dark or electric. Oh, and they freaking go to Egypt. The tension is stifling. The stakes are high. The battles are more terrifying and more epic. All the heartbreak and chaos clashes together into a final, shattering ending. And all I wanted, at that final page, was more. I won't gush overly much about Susan's fabulous bending of genres. I've done so here and here already. This book has all the charm and strangeness of the first two, but now the world of magic is expanded and even more mysterious than before. I viciously geeked out at the first mention of Egyptian mythology. Now that we're closer to the Old Man in the Pyramids and the mysterious, powerful Black Pullet, we're given a view to magic more ancient. There are pyramids, sphinxes, armies of mummified animals buried beneath the sand, as well as odes to the Egyptian gods. Dennard manages to intermingle her magical cultures in a way that feels exciting and mystical rather than forced. in the final clash against marcus. Of course, because we are in Egypt, that means that the final battle is near. Marcus aims to find the Black Pullet and use its powers of immortality and wealth. The Spirit Hunters want revenge for his crimes, true, but they also know the devastation he could wreak with such power. Allison has now joined the crew, bent on killing the man that destroyed her family. Daniel doesn't trust her or Oliver, Joseph is worn ragged with exertion, Jie is fighting off Marcus' powerful influence, and Eleanor is caught violently between the real and spirit worlds. I thought it a little contrived that Allison happened to know a man in Cairo who owed her family money, but I can forgive it. The hijinks that follow are worth the bit of hand waving. With everyone in turmoil, this is a tense and emotional book. Eleanor is in crisis. She struggles to navigate her relationships in the wake of recent tragedies--her terrifying love for Daniel, her deeply personal connection with Oliver, the apprehension she sees from Joseph and Jie, the puzzle of Allison. Every page is an emotional struggle, made more devastating because there's no room for flights of emotion. It's breakneck and absolutely thrilling. Marcus always seems to be one step ahead, so there's never room to breath or get comfortable. There were so many moments that stopped my heart, had me gasping or actually crying out--but also sweet scenes, moments of love ("Too.") and friendship. It all leads into the gut-wrenching final battle, a clash that threatens to shred the boundaries between reality and spirit. Any writer could make a good book out of all that material, but Dennard makes it a great book. She has a knack for writing in a way that puts a picture into your head, and a flair for the dramatic. I can think of at least three scenes, just off the top of my head, that would be insanely awesome on film. Even as I read, they played like movies in my head. That's the power of her prose. You're in it. It's atmospheric and emotional. It's quick when it needs to be, slow and descriptive when it needs to be. 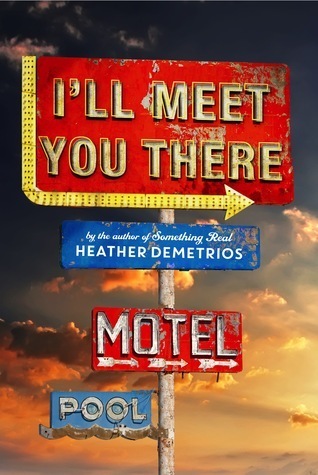 It's Dennard's writing that makes lovable characters and an exciting plot into something that cuts deeply and burrows into your soul. It's a world I'm heartbroken to leave, and one I won't soon forget. and holds you captive to the bitter end. Susan Dennard made me feel feelings. Strange and Ever After is a cinematic masterpiece of prose, full of adventure, romance, and a strange and spectacular magic. It's a satisfying, cataclysmic close to a matchless series. Ok, I agree with absolutely everything you said, this book left me broken beyond repair, actually, all of them did. There's no book hangover like a Susan Dennard book hangover. ...Cause a Susan Dennard hangover leaves you weepy and wishing you could re-read all of her novels but also change certain *hem* details but also not really because you trust her authorial greatness.